Piper is many things in a tiny package. 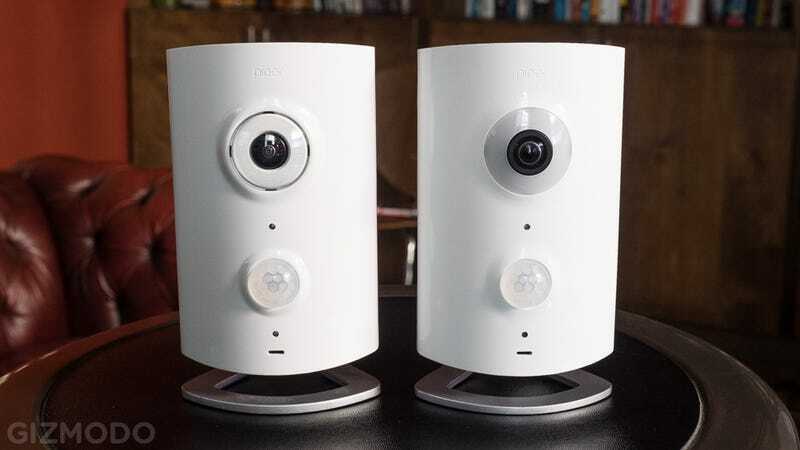 The pint-sized home security device—it's literally the size of a pint glass—watches over your house, automates your connected devices, and helps you keep in touch with friends. And now, with night vision too. In case you're not familiar, Piper is an all-in-one home security device that lets you keep an eye on your home from anywhere in the world through a mobile app. Its motion sensor makes it simple to be notified when someone enters your house, and you can even turn Piper into an intercom from your phone. The second-generation Piper nv looks almost exactly like the original, except for a new ring of LEDs around the 180-degree camera. The "nv" bit stands for night vision, and those lights enable you to see what's happening in your home even in near pitch black conditions. The camera's resolution is also improved, and now offers sharp video with a 3.4-megapixel sensor. Both Piper models come with motion and sound detection, and a 105-decibel siren that can be deployed in the event of a breach. And both work like a home hub for your connected Z-Wave devices, enabling you to control appliances and lighting from your smartphone.